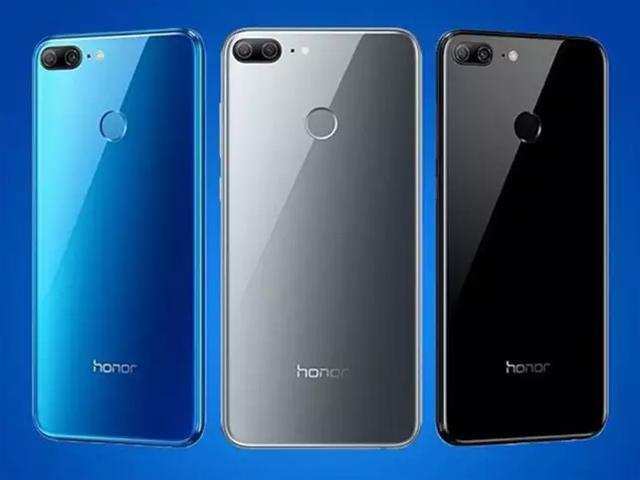 Huawei brand Honor on Thursday revealed discounts on its latest smartphones during Amazon and Flipkart sales starting January 20. While the Honor 8X, Honor 8C, Honor Play, and Honor 7C are set to receive discounts during Amazon’s Great Indian Sale, the Honor 9N, Honor 9 Lite, Honor 7A, and Honor 7S will get discounted prices during Flipkart’s Republic Day Sale. Honor announced that there would a minimum discount of Rs. 3,100 that would go up to Rs. 9,800 inclusive of phone exchanges and instant discounts for HDFC Bank and SBI customers. During the forthcoming Amazon sale, the Honor 8C in 4GB RAM/ 32GB storage configuration will be available at Rs. 10,999, down from its current list price of Rs. 11,999. To recall, the smartphone was launched in India last November, and Honor has yet to reveal any discount during the Amazon sale for the 64GB storage model – which had a launch price of Rs. 12,999 (the same as its current list price on Amazon). The Honor Play 4GB RAM model will be priced at Rs. 13,999, down from its listed price of Rs. 19,999, while the Honor Play 6GB RAM model will be available at Rs. 17,999, down from its current list price of Rs. 23,999. Similarly, the Honor 7C will be available at Rs. 8,499, down from its list price of Rs. 9,999 for the 3GB RAM/ 32GB storage variant. As was the case with the Honor 8C, the Huawei sub-brand has not revealed any discounts for the 4GB RAM/ 64GB storage model of the Honor 7C. As for the Honor 8X, Amazon will be providing an additional Rs. 1,000 off on exchange for the 4GB RAM/ 64GB storage variant, and an additional Rs. 2,000 off on exchange for the 6GB RAM/ 64GB storage model. Under Flipkart’s Republic Day Sale, the Honor 9N 3GB RAM/ 32GB storage variant will be available at Rs. 8,499, down from its list price of Rs. 9,999. The Honor 9N 4GB RAM/ 64GB storage model, on the other hand, will be available at Rs. 10,499, down from its list price of Rs. 11,999. The Honor 9 Lite 3GB RAM/ 32GB storage variant will be available at Rs. 8,499, down from its list price of Rs. 9,999 during the Flipkart sale, while its 4GB RAM/ 64GB storage model will be available at Rs. 10,999, down from its list price of Rs. 11,999. The smartphone was launched at Rs. 10,999 for the 3GB RAM/ 32GB storage configuration, while its 4GB RAM/ 64GB storage variant debuted at Rs. 14,999. Flipkart will also make the Honor 7A available at Rs. 7,499, down from its list price of Rs. 7,999 – to recall, the Honor 7A was launched at Rs. 8,999. To recall, Amazon’s Great Indian Sale will take place between January 20 and January 23 and will bring a 10 percent instant discount for HDFC Bank customers. Flipkart’s Republic Day Sale is scheduled for January 20 and January 22 along with a 10 percent instant discount for SBI customers.